What a shame! 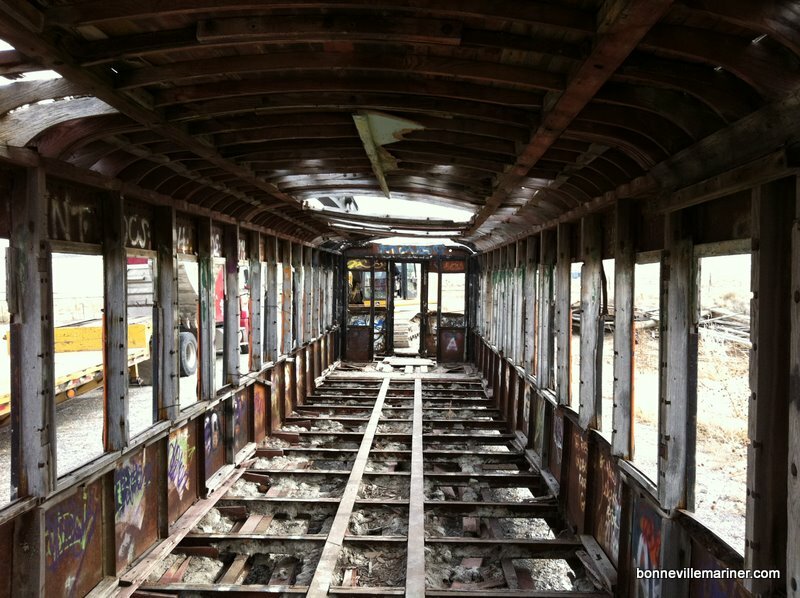 I’ve seen hundreds of photos of that old train car. I’m such a nostagic guy and hate it when old relics like this are discarded. That was my very first “Love Train”. How sad. Thank you for documenting this. It is the end of an era. Typical!!! What a shame indeed!! Welcome to Utah!! And for F’s sake… It even had a name!!!! What about the old powerplant? Is that still there? Is it safe??? I’m looking forward to your follow-up story. Way to be there to get the scoop on this. Many people will have questions in the weeks to come. I echo Josh’s question. Are they going to demolish the old building located by the train they just hauled off? Michelle: I hear you. I’d love for everything to be recovered and protected. Until such time when somebody with the money or clout can get that ball roling, Saltair’s best friend is a rising shoreline. Mark: Are you talking old photos or more recent? Seems like I used to see tripods out there on a nightly basis. I didn’t like that these photogs were trespassing, but now I’m glad there are thousands of wedding photos with 502 as a backdrop. Josh: The power substation is still there, and I don’t see anything with it’s infrastructure that is dangerous. But I wouldn’t exactly call it safe. It’s interesting to take a peek at during the day, but I’d stick clear of it after sunset. The property line runs between the building and the train site, with the building on State land. I don’t think there are any plans to take it down. Tyler: The follow-up story will be posted this afternoon. It will include a very specific history of the car, as well as some historic photos. I may get something in to the Transcript Bulletin as well. A travel hiccup threw me for a loop this weekend, so I haven’t been in much of a position to compile this in a timely manner. I’ll give a heads up on Twitter and Facebook once the update is posted. For the record, the landowner assured me that he had made efforts to have the train preserved. I also worked with the previous land owner two years ago to try to get it donated to a museum or other conservation org. No luck. Most everybody considered it beyond restoration, and nobody who was interested could come up with space for it or cash to move it. 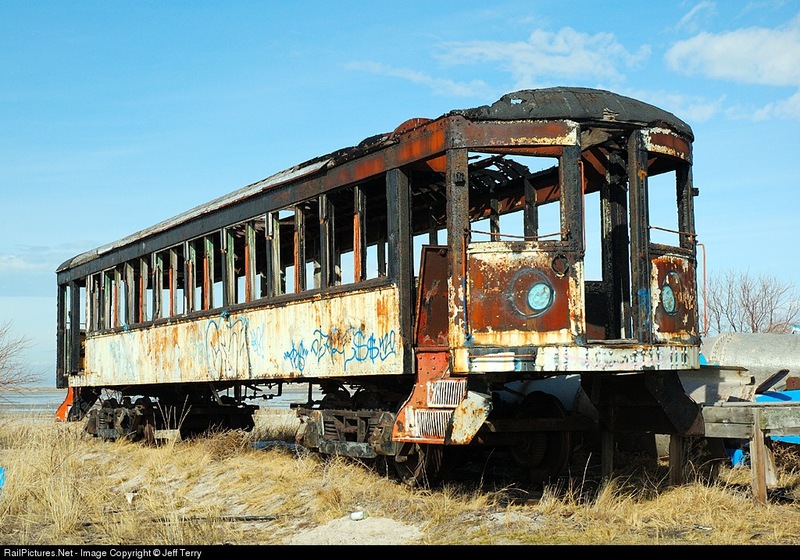 I am so sad to hear of the demise of the train car. I can’t believe that something could not be done to stop it. Wether it was on private property or not. It need not be one entity to take part. It seems to me that a trade or technical program at one of the colleges could not of had a better group project for restoration given to them. The history, design, arts and metals of all kinds could of all worked together. 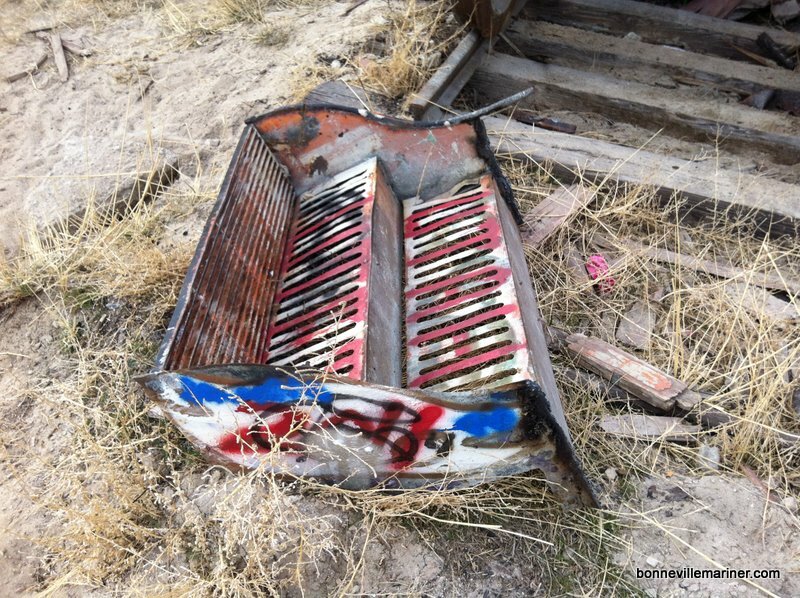 Shame on the Church and Corporations that could of all made donations to help preserve a piece of Utah history. Great work Clint, I’m glad you were there to document it and thanks for sharing with ExpeditionUtah. Sad to see it gone! Thank you Clint for this great article. Living in Germany I have never seen this rail car in reality, only virtually, and so far as I can tell, there was no scenery like this anywhere else in the world, and I don’t mean the world between New York & San Francisco but the whole world accessible to the public. 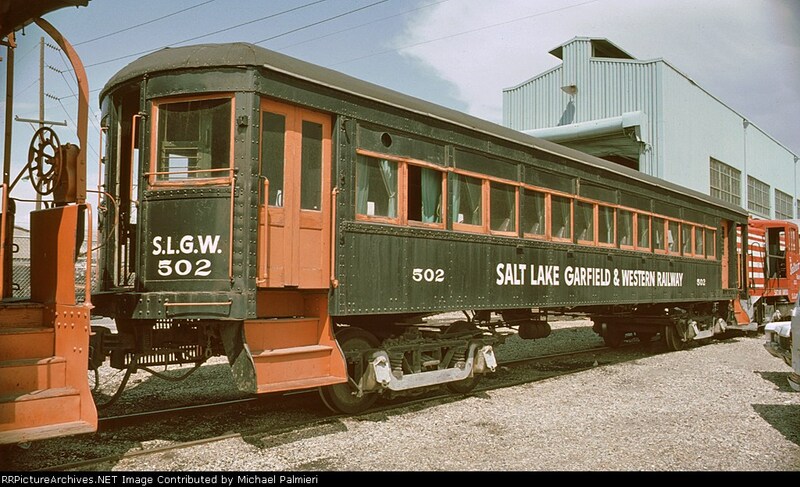 I created a Group on Flickr (Saltair Rail Car) 11 months ago, to bring together images & photographers from this location. My familiarity, though remote, had grown to the point where I was starting to recognize the site from untagged images only showing a square yard of features. 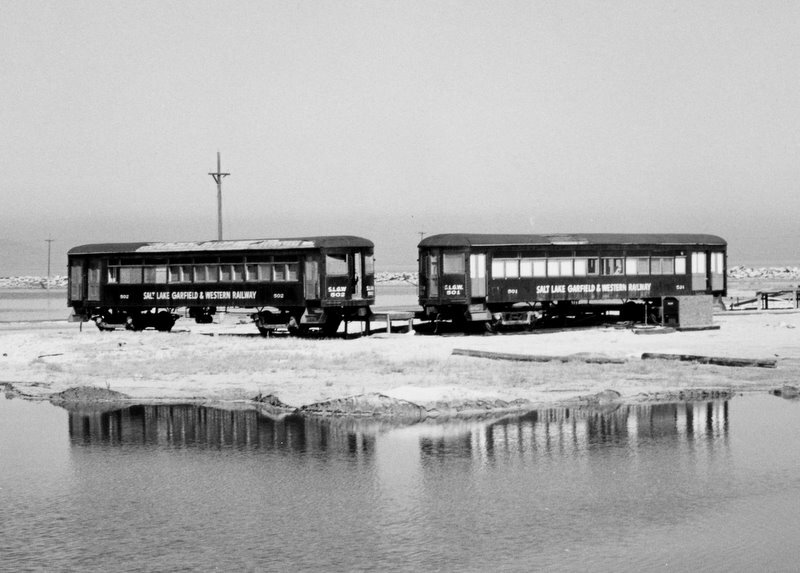 The rail car stood in the same place for the last 30 years of its 94. Now it has disappeared forever. I can appreciate the shock locally. Your article with many facts I was only vaguely aware of, the background for the decision to scrap, the final shots and the video make a sad but grand closure. I will be posting a link from the Flickr group to your article and hope it will remain available for a long time. Gilbert, thanks for commenting. Great idea on the Flickr group! I’ll add the link to my post. It was in the late 20’s, all during the ’30s when Saltair, BlackRock and Sunset Beaches were my parents favorite places to take us kids for a salty swim, where you could not drown, but also could not splash if you were kind enough to protect other swimmers’ eyes. Then in the 40’s when I was old enough to date, it was the favorite place to dance to name bands and always get a thrill by riding on the BIG Roller Coaster…even bigger than the one at Lagoon. Who has a picture of this big Roller Coaster? My husband’s Aunt and Uncle met on the train, danced together at Saltair and make a romantic interest in a special story chapter I wrote to enhance a book I wrote about those days, when the Train was the way to travel to this popular resort. Anne, it’s great to hear from somebody who experienced Saltair (both I and II) back in the day. I’d love to read your book. My grandpa used to work at the Giant Racer roller coaster. He would straighten the rails by riding the coaster over and over again. Your grandpa must have been a fun loving guy, interested in the safety of all the adventurous patrons. Send me you address and I will send you a book. The big two-story dance pavilion was in a beautiful building, built on poles right over the waterfront. There were Victorian, festive domed towers on all four corners and a big dome centered over a beautiful arch on the front. I remember the big GIANT RACER, even more exciting than the popular one at Lagoon, which was a big drawing card for high school and college students. Who has a picture of the Giant Racer? Those were the days of name dance bands and excitement at this favorite place to dance. Read my previous comment and reply. We need room for more comments. 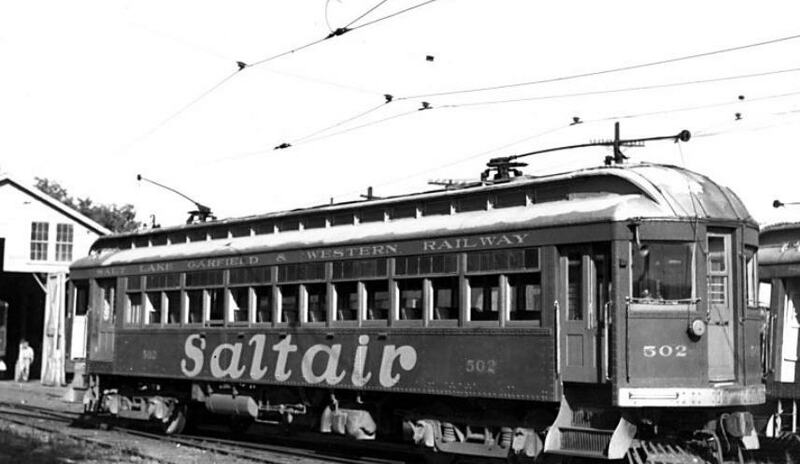 My grandmother met her husband out at Saltair, and probably road that train. Irma Snow (son of Edward H.) Any relation?? That should have said “daughter of”…oops. Out of curiosity, did you get the name of the salvage company? 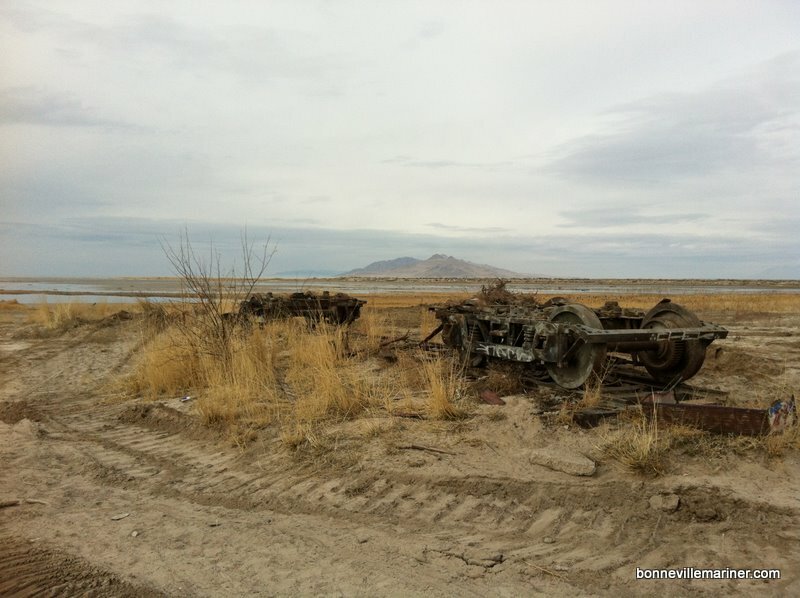 Earlier this week I drove up to Saltair to check it out, only to find out that both the train and the power station were both gone. Me, a 20 year old guy with no real connection to Saltair started crying. The Great Saltair is my favorite piece of history. I have spent the past three years collecting post cards and whatever else I can in hopes of some day having an entire collection of Saltair-related products. My collection is small, but I cherish every 70 year old post card I have. 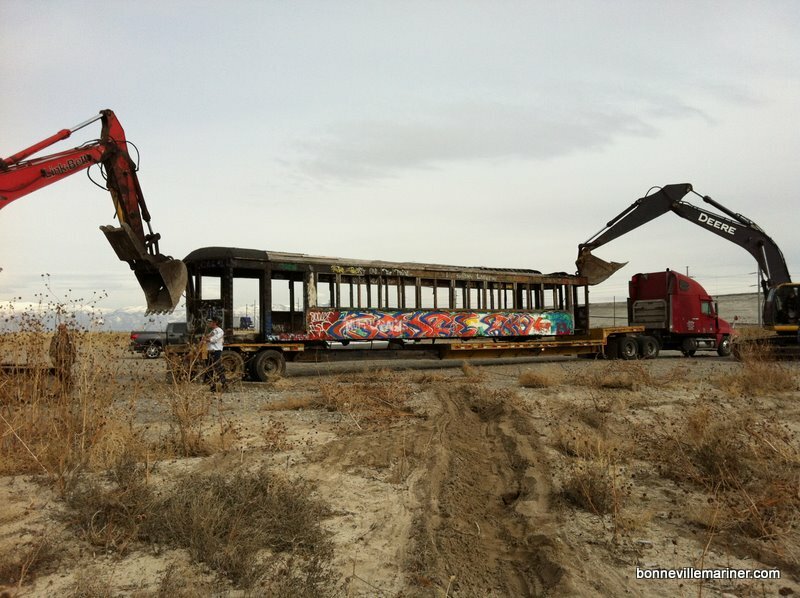 It is sad to see these last two remnants of Saltair leave. I wish I were a millionaire, then I would do everything I could to restore and rebuild the Saltair. Tanner, I hear you. I grew up visiting Saltair III, but my connections to the original Saltair are limited to my grandparents’ experiences. Still, it occupies a huge spot in my heart and mind. I’m working on a post about the substation building. I just found your blog. Sad to see it go. 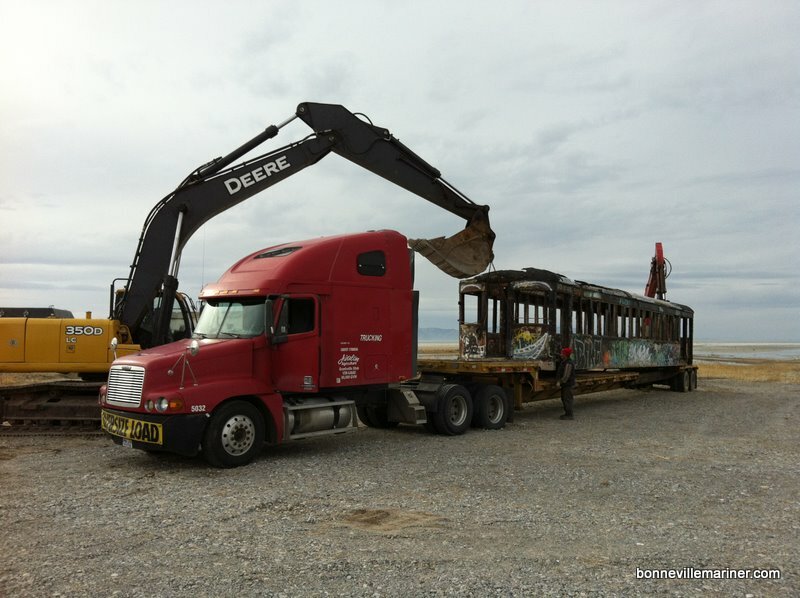 Amazed that the Ogden RR Museum did not get involved. I had a Modeling photoshoot in 502 before it was moved couple years prior. It was cool and looked cool from the road. Yes one of my scarier shoots in heels but indeed agree it somehow should be preserved. 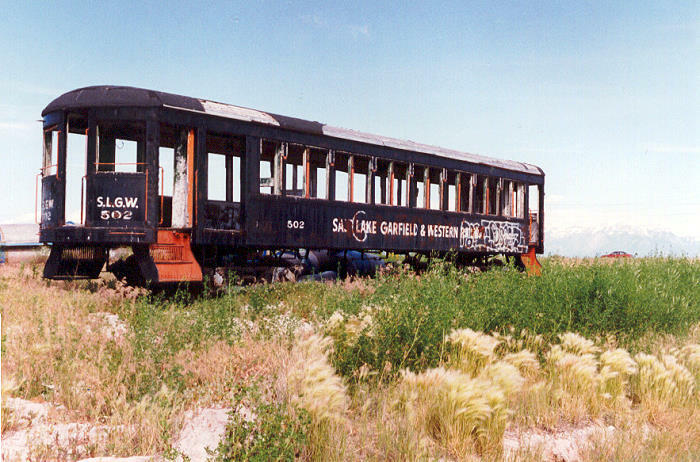 I remember riding the oprn air train from SLC just off North Temple to saltair the summer of 1957. I was 10 years old. That was a great memory.